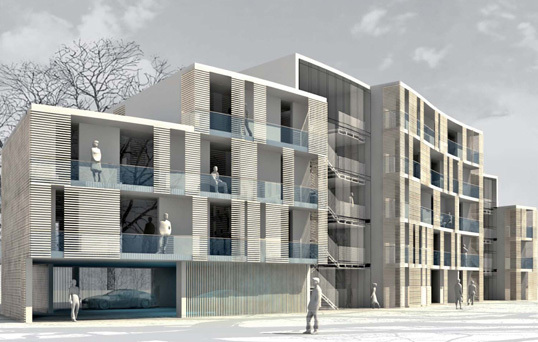 This 37 unit scheme in Harrow marks a step forward for car free contemporary living in the town centre. Increased densities were achieved by limiting structural depths to gain 5 storeys within the limited space available. Edge prepared structural and drainage schemes. The proposed structural arrangement is for five levels of reinforced concrete flat slab construction with a suspended RC ground floor slab supported on ground beams on piles.